Portable chargers allow you to charge mobile devices efficiently while on the move and without access to a mains power outlet. Choosing the best charger really depends on the intended use, but there are some chargers or power basks units which prove to be better than the rest when mains outlets are not readily available. 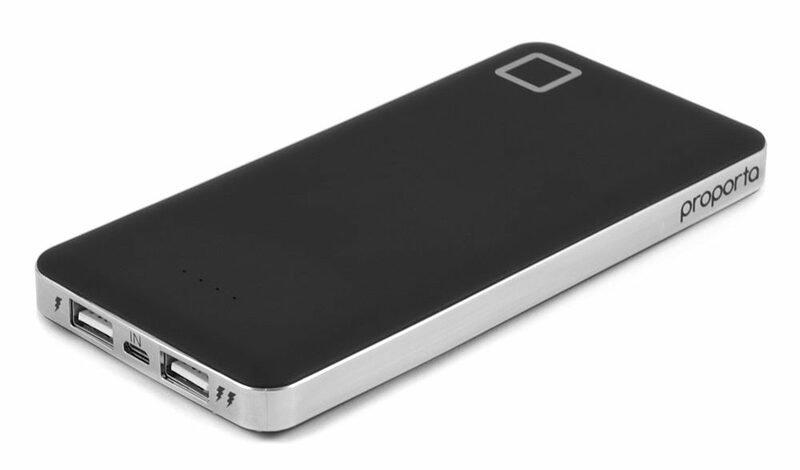 There are three main types of portable chargers, but some area combination of these, the main types: battery powered, solar powered and car chargers. Most people when talking about these portable chargers usually mean some sort of battery powered device, which itself may or may not be in part powered by solar. This stylish charger has a huge capacity that will charge the iPhone 6 nearly seven times but is hardly bigger than an iPhone itself. You simply plug in your existing charger wire for extra juice on the move! Compatible with most smartphones and tablet devices including the iPhone 5S, iPhone 6, iPhone 6 Plus, Galaxy S6, Amazon Fire Phone, Nexus 6, Kindle Paperwhite, Kindle Fire HDX, LG G3, HTC One and M9. The rugged portable charger option â€“ impact and splash resistant plus can keep just about any USB powered device going in the most extreme conditions. Perfect for those who love the outdoors, for festivals or camping/hiking in the wilderness. The beefy 6000mAh battery means that this rugged charger with it’s aluminium and steel construction is IP-65 rated (dust and water protection) and will keep most mobile devices going for days on end! Comes in plain black or a fluorescent day-glo orange which suits its rugged credentials. This compact device weights just 340g and measures 6.4 x 2.6 x 11.5cm. A bit bulkier than the other chargers here, but you do get extra memory storage plus the ability to create a network in foreign countries, this in addition to a powerful battery that will keep you going for a good few extra charges when out and about. Wi-Fi whenever and wherever you need it with data roaming in 168 countries all with pay as you go payment flexibility. Wirelessly access the internet from almost anywhere with any WiFi device and you can share your high-speed connection with multiple users. This portable charger and network device fits into the palm of your hand.